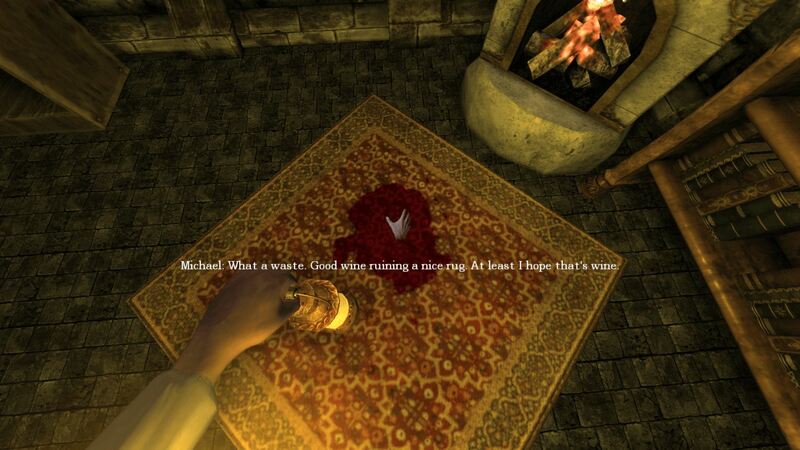 Fancy ‘A Late Night Drink’ In This Custom ‘Amnesia: The Dark Descent’ Story? A large wine cellar has many uses. One might sell the contents to collectors, show it off to similarly minded parties, or even sample the goods. In any case, In A Late Night Drink, Michael – just Michael – has acquired the deed to a lovely house with one such. So far so good, right? Actually, no, because as it turns out, the previous owner passed away mysteriously in the basement. Well, time to find out what the deal is with that… while sampling some vintage spirits, of course. Cheers! Now, like most good horror stories, this too starts off slow, building suspense as you wander around, everything seemingly normal at first. But once you enter the basement, strange things start happening. Things that don’t quite add up. Things that might make someone lesser setting foot inside, or even purchasing this accursed house in the first place. But not you. The draw of quality wine, and plenty of it, is too strong – almost intoxicating. That said, during my time as Michael, playing this particular custom Amnesia: The Dark Descent story, I was much too busy solving puzzles, traversing dark hallways, reading notes left by God-knows-who and… well, the sanity meter certainly came into play. On top of that, boxes. Boxes. More boxes. So many boxes. Boxes everywhere. At one point I was honestly tempted to simply build a fort in A Late Night Drink, to then cower in fear from whatever evil had taken ahold of my new home. In fact, who’s to say I didn’t – that this document isn’t all that remains of my attempts at solving the mystery?